John Parks of Legendary Rock Interviews spoke with iconic guitarist George Lynch about T&N, Lynch Mob and Randy Rhoads. Portions of the interview appear below. 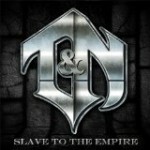 LRI: Is it true that Michael Sweet of Stryper will be the touring singer for T&N when you tour? George: Yeah, that was the decision we all collectively came up with, we thought he was really the right choice. Lynch Mob has done quite a few dates with Stryper and we know Michael as a man and he’s just such a wonderful guy which is important at this stage in the game. I’ve learned that lesson the hard way over the years and now it’s to the point where you just wanna work with people who want to work with you and are dedicated, honest, transparent and have a good work ethic. Michael is obviously talented, we all knew that but he is also just a good person who has all of those qualities and architecture and is a solid guy but more importantly his voice is really suited to what we are trying to accomplish live which is to recreate the Dokken stuff faithfully. Jeff’s voice is not necessarily ideal for all of that because he has a bit of a raspier, harder edge which is better suited to the original music that T&N has done, Jeff will do some of the Dokken stuff but then Michael will come in and do some of the material that he’s better at. The other advantage we have with Michael Sweet other than him being just a great human being is that he’s a really good guitar player and really suited to playing the rhythm parts we have which is something we really need collectively in this band and for this material. There’s a lot of guitars on this record and we wanna reproduce the record faithfully. Plus, he’s not a bad lookin guy either! LRI: There are also a great many people who are under the impression that your band Lynch Mob is also over and broken up which is partially because of Robbie Crane talking about his leaving the band. The last EP was probably the best thing you’ve ever done. Is there any future for Lynch Mob? George: We have half a record which is just on the shelf, it’s something we’ve been working on for quite a long time and it’s beautiful and I would really hate to see the record not be heard but at this point it’s only half done and I don’t know exactly when we will be getting back together to finish it, if at all but I am hopefully optimistic (laughs). We all have a lot of other things going on though and I understand that, Robbie’s got some other project, Oni (Logan, vocalist) is doing Dio Disciples and I have two or three very heavy projects going on with the T&N thing, the movie and associated band Shadow Train which is working on the soundtrack to the movie and then the album I am making with Doug Pinnick of King’s X and Ray Luzier of Korn. LRI: I had heard about that, You, Doug and Ray, that is pretty amazing sounding on paper…. George: Yeah, we are doing a power trio thing and have been writing. We’re getting through the initial stages of the album and have completed a few sketched out song ideas which are pretty exciting to me and are hitting it really hard this winter. We’re gonna see where this goes. LRI: I have to ask, you’ve talked about your interaction with my all time favorite guitarist, Randy Rhoads. I worked with Kelly Garni on some quote gathering and editing for his upcoming book talking about growing up with Randy and was just wondering, what was the extent of your relationship with Randy? George: Well, I gotta be honest with you, we were not like best friends or anything, it was more like casual acquaintances. We would play shows together, share a dressing room, hang out and talk. He liked the way I played and we shared a mutual respect in that sense but we didn’t know each other much beyond that. He was obviously on the radar in the Hollywood scene before breaking out but I didn’t understand or have an appreciation for how deep of a player he was until he went to England and made the records with Ozzy. At that point, I took over his teaching duties at Musonia, his mom’s school and really started delving into the repertoire of what Randy had actually recorded. Of course when I later auditioned for Ozzy it gave me an even greater appreciation for the complexity and depth of his compositions. LRI: Much has been made of Randy’s distaste for Black Sabbath’s music. When you auditioned for Ozzy were you a fan of those classic Sabbath songs? George: Oh sure. I mean, I had a Black Sabbath poster hanging on my wall in the early 70s and my band played Sabbath songs. I can remember the first album coming out and blowing our minds and the Paranoid album and all of that, that was the material we cut our teeth on and learned from. Read more at Legendary Rock Interviews.